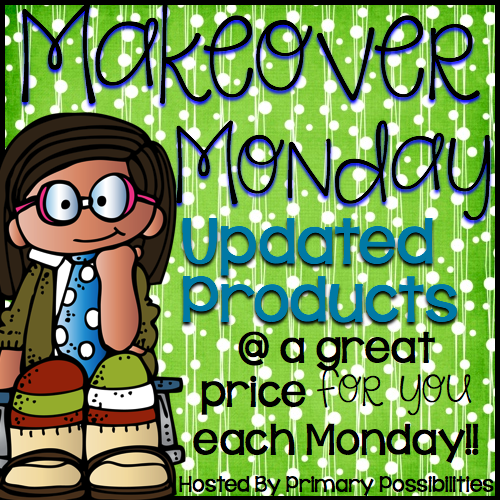 We are excited to host our first Makeover Monday! 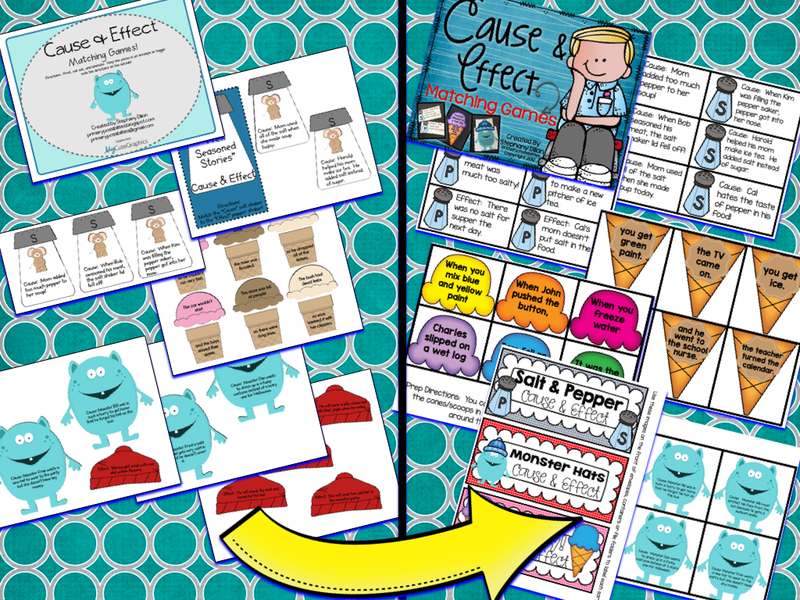 Our makeover this week is my Cause & Effect Packet. It was one of the first packets that I made for TpT. I totally revamped the clipart used for this packet and made sure to use as many images per page to save card stock. Plus, I've switched out the clipart! I also changed the fonts to a more student friendly font! If you already purchased this packet, go to the "My Purchases" section of you account and download it again for the updated version! This link-up is here to offer products that have been updated, added to, or revamped at a discounted price! It may be new clipart, added page count, or a total overhaul! Be sure to check back each Monday to grab up some great limited time deals! Each product is offered at at least a 20% discount for the next 48 hours...you may even find a few $1 deals mixed in!